This bulk pack of disposable dip plates is perfect for serving a large number of guests appetizers at a party or large function. They are made from a natural by-product called Bagasse (sugarcane fiber) and are fully biodegradable and compostable. Sugar cane dip plates are perfect for preparation and preservation as well because they are microwave and freezer safe. Also, they are oil-resistant and can handle boiling water! 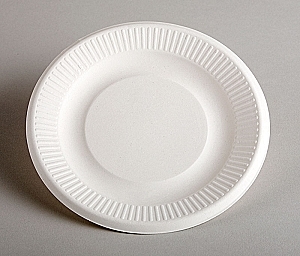 You won't want to be without these disposable dip plates during your next big event. Since Bagasse is derived from a renewable resource, there really is no reason not to go organic and choose something that reduces pollution and saves the environment.